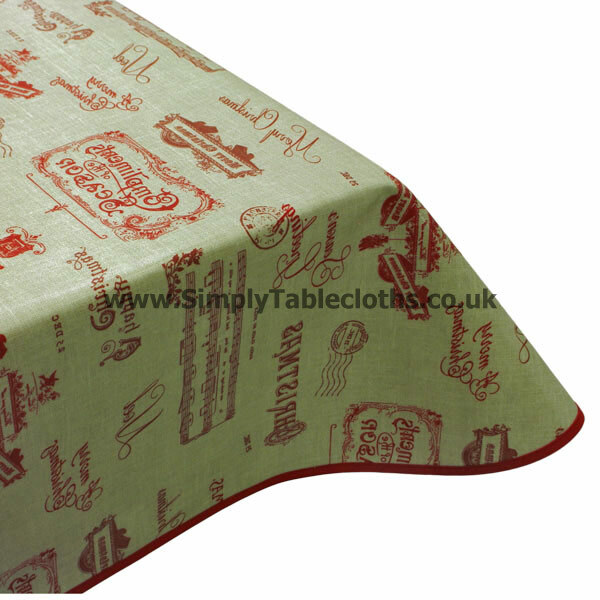 Celebrate the holidays with this vintage-inspired oilcloth tablecloth in a neutral tan and red colour scheme. The linen look blends well with any Christmas décor, and the burgundy script includes phrases such as “Happy Christmas” “Merry Christmas” & “25 Dec”. Clean up any messes with a simple wipe due to the PVC top layer.